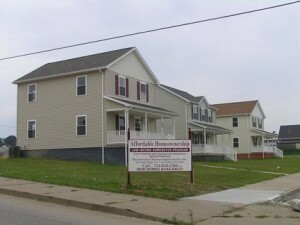 Westmoreland Community Action’s Housing Counseling & Money Management Center offers training and resources designed to support families and individuals who are interested in purchasing their very own home. The Housing Counseling & Money Management Center provides free housing counseling services to all Westmoreland County residents who have housing needs or problems that are potentially resolvable through homebuyer education and/or pre-purchase counseling. Those residents who choose to participate in our program are eligible (although not obligated) to purchase one of the homes constructed through the Neighborhood Revitalization Program. Low to moderate income families will also learn about mortgage products and services designed to help them be successful in purchasing and maintaining a home. Click here to download a copy of our intake application. Click here to download a copy of our First Time Homebuyer Affidavit if you’re seeking to purchase a Westmoreland Community Action home. Document must be signed and notarized. Click here to download a copy of our Zero Income Affidavit if you’re seeking to purchase a Westmoreland Community Action home. Click here to download a copy of our Verification of Employment if you’re seeking to purchase a Westmoreland Community Action home. Document only needs to be signed. The HCMMC will mail the signed VOE to homebuyer’s employer for completion. Sometimes unexpected disasters hit. Check out this handy booklet, Disaster Recovery: A Resource for Homeowners, for information on what to do both before AND after a disaster strikes. Booklet courtesy of Mortgage Bankers Association, 2018. Focuses on foreclosure prevention, predatory lending and home maintenance. Participants are referred by mortgage lenders. Provides the knowledge, skills, guidance and support necessary to achieve and sustain homeownership. Provides one-on-one comprehensive home-buying information and guidance based on your individual situation. Entails the development of a credit restoration plan based on credit report analysis, wise use of credit, budgeting and underwriting guidelines. Familiarizes current and future homeowners with state and federal foreclosure prevention programs. Provides instruction in the areas of budgeting, wise use of credit, and mortgage assistance scams. Provides participants with the skills necessary to analyze their lifestyle and spending choices in relation to how well they reflect the participant’s income, debt obligations, savings goals, and long-term financial goals. Provides participants with a framework and guidelines for creating their own budget. WCA has been approved by USDA Rural Development to package “502” and “504” loans. The role of a “loan packager” is to assist the applicant in preparing an application package. As part of Pennsylvania Housing Finance Agency’s (PHFA) housing counseling network, Westmoreland Community Action is committed to helping you Take Charge of Your Money. Just like PHFA, we believe that a true understanding of your finances is essential in order to make the best decisions that ultimately affect your future and the future of your loved ones. For more information, see the Take Charge of Your Money flyer, or go directly to PHFA’s Take Charge of Your Money website. 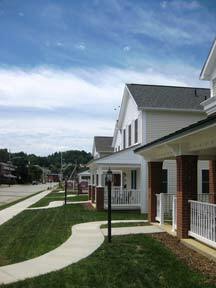 For more information on the Housing Counseling & Money Management Center, please contact Rudy Horwatt at 724-834-1260, ext. 1146 or Whitney Stinebiser at 724-834-1260, ext. 1150.